This is an important and exciting time for you, as you set off on the next stage of your learning journey and lay the foundations for your future career. As well as gaining valuable qualifications, studying with us will provide an education that is firmly focussed on getting you the job you want. Here at Accrington & Rossendale College we are dedicated to providing the best teachers and tutors. All have impressive track records in their own industries, and will work with you to ensure you achieve your goals, whether that is on to higher education or into the workplace. Young people will be staying in education or training until they are 18. This is known as Raising the Participation Age (RPA). This applies to anyone who was born on or after 1st September 1996. For more information see the information box below. You now need to make important decisions as you start this next chapter of your education. Choosing the right subject area to study is important, but deciding the level and type of course is too. 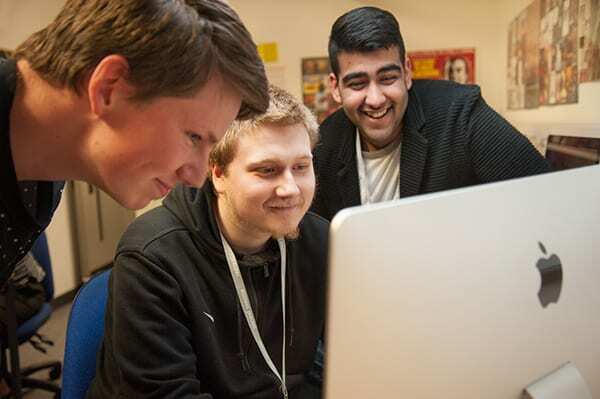 Our school leavers courses are available at different levels, which mean you can start at whatever stage is right for you and progress to Higher Education or employment. The level you study at will depend on the GCSE grades you get next August. You can go onto a further education college. You can stay on at school if it has a sixth form or transfer to a sixth form at another school. You can undertake an Apprenticeship through a training provider. You can work or volunteer for more than 20 hours a week but you must also study towards a recognised qualification. These courses are usually studied for one year full-time, or part-time if you are coming into college with no qualifications. You will be continually assessed and given individual guidance and support when you need it. Your ‘record of achievement’ will be updated and you will have the opportunity to gain other qualifications that interest you. If you need help or specialised equipment to enable you to study, we have tutors that can help. At the end of the course we will guide you to move on to a higher level course or to a job that’s right for you. Level 1 courses are usually studied for one year, to give you a strong foundation in your chosen subject area. You will usually study a Level 1 course if you leave school with mainly F and G grades, or if you choose to enter a specialised occupational area where you have no previous experience. You will also have the opportunity to develop the literacy and numeracy skills needed for your chosen career. Level 2 courses are usually studied for one year, to prepare you for advanced level study or for employment. You will usually study a Level 2 course if you leave school with mainly D and E grades, or if you choose to enter a specialised occupational area where you have no previous experience. You will also have the opportunity to develop the literacy and numeracy skills needed for your chosen career. Level 3 courses are advanced programmes of study which are usually studied for two years. They will prepare you for progression to higher education courses at university or for employment at a professional level. You will usually study a Level 3 course if you leave school with mainly A* – C grades (including English and Maths) or a merit grade in a relevant Level 2 qualification. These are higher education courses, which you could progress to after successfully completing your advanced level programme. You can progress to higher level courses in many subjects at accross College, or you may choose to move to another college or university which offers specialist programmes to prepare you for your chosen career.